The Naukri Hiring Outlook for 2019 has been released today based on the results of the bi-annual survey that Naukri.com conducts. A sample of 3310 recruiters from across India participated in the survey and the results paint a rather hopeful picture in terms of hiring outlook for the coming six months. Naukri.com, one of the largest job-posting sites in India came our with their Naukri Hiring Outlook 2019 based on a survey that 3310 recruited across the country participated in. The hiring outlook for the next six months looks positive with 84 per cent recruiters expecting an increase in hiring activity. This is a 20% increase in comparison to the outlook for July – Dec 2018. 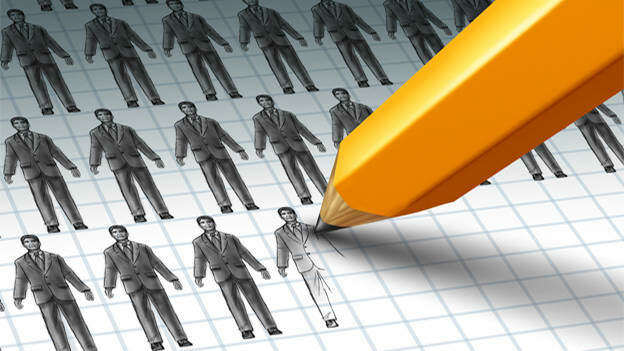 For the first half of the year, 56 per cent of the recruiters surveyed believe that there will be a growth in hiring due to the creation of new jobs as well as replacement hiring while 12% of them are of the opinion that only replacement hiring will take place. The industries that are expected to fuel this optimistic surge are IT, BFSI and BPO. While there is optimism in terms of job creation, there is also the anxiety around the availability of the right talent. 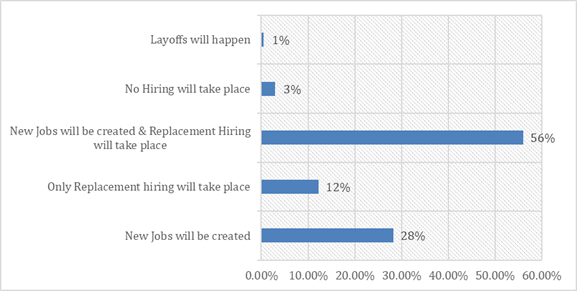 42% recruiters predict that this talent crunch could be exaggerated over the next six months. 31% of the recruiters believe that though the talent crisis would continue, the issue might not get intensified further. The maximum dearth of talent is expected to be in the experience band of 3-5 years. With regard to increments, 16% of the recruiters felt that increment would be upwards of 20%, while 15% of them expect it to be between 15%-20%. It is interesting that with increments expected to increase, predicted attrition rates have gone down. 14% of the recruiters had predicted attrition between 20% - 40% in the 2018 Hiring Outlook and this has been halved to 7% in the current Outlook. 50% of the recruiters surveyed hold that attrition would be between 5% - 15%. The survey points towards the fact that both recruiters and jobseekers see better compensation, relevant profiles and well-charted career growth plans are the top three reasons for a job change. What is interesting though is that while recruiters feel that bigger packages is the foremost reason for the job change, jobseekers state that it is the hope of better career growth. Bridging gaps in understanding such as this could help recruiters and other HR professionals to ensure that a job offers all that an employee is truly looking for.